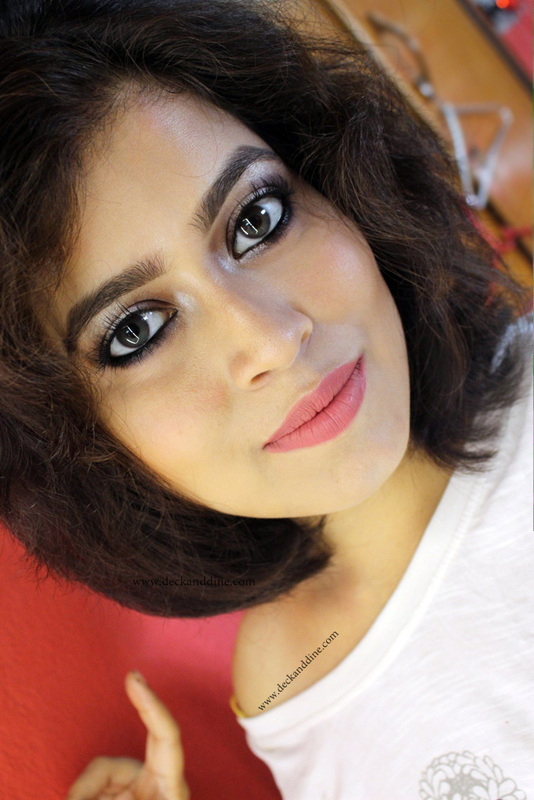 I am back with a lipstick review from Lakme gloss addict range which forayed into the Indian market sometime last year. Though I was pretty much excited to try at least one from the range, but somehow didn't get a chance to get hold of one. Better to be late than never, I bought one on my last visit to the store. 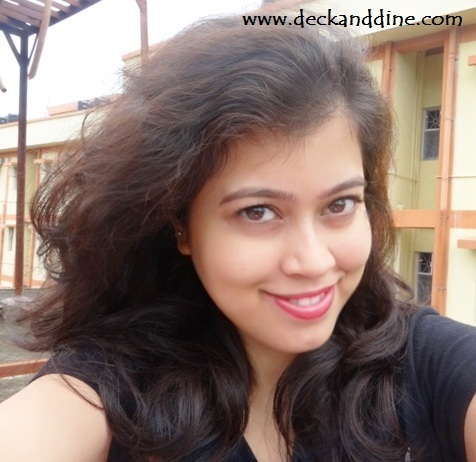 So here goes the review on a pretty lipstick from Lakme Absolute Gloss Addict range. The shade is called “Berry Rose”. A grey metallic long twisted tube with a transparent cap. The lipstick comes in an outer black cardboard box which looks very stylish. Every detail is mentioned on the outer box itself. The stick might look flimsy, but in real, it is actually pretty much sturdy. The chiseled edge of the lippy helps in drawing the Cupid’s bow and lining the lips perfectly. A perfect blend of berry and rose. It varies in color when seen in different lights or from different angles. Sometimes it leans more towards berry and sometimes looks rosier. Great for every skin tone. The color is very wearable and you can wear it easily to your college or office. It is muted, yet gorgeous enough to brighten the dullest of looks. The lipstick is very creamy and moisturizing. It glides on lips like butter without tugging a bit. True to the name of the range, it adds a boost of high shine to your lips. The formula is very light weighed and leaves a healthy glossy sheen to lips. Excellent pigmentation and a single swipe yields great color coverage on lips. Impressive. I didn't expect it to be mind-blowingly long lasting. It is a glossy lipstick and I knew that it would stay maximum for 2 hours on me. The bullet because of this glossy property is very soft and always on the verge of melting down. Pricey as per the quantity we get. The best part of this lipstick is you get the best of two worlds, in just one swipe you get the high shine of a lip gloss and the burst of color of a lipstick. No, actually the best part of three worlds, as it keeps my lips hydrated like a balm, adds a juicy shine like a gloss and adds color like that of a lipstick. I am a fan of matte lips, but this one has become one of my favorite lip colors too. Now, I do not have to worry about chapped lips, as while adding colors to my lips this lipstick also conditions and gives me soft and smooth lips. This lipstick gives both moisture and color, the way I like. Pretty happy and satisfied. So would definitely recommend this to everyone. thank you soo much Snigdha.. this is indeed a very pretty shade. ..